Westfield Middle School seventh-grader Keegan Connor will represent Indiana in the National All-American Miss pageant in Los Angeles. The competition was set to begin Nov. 18 and concludes Nov. 24. 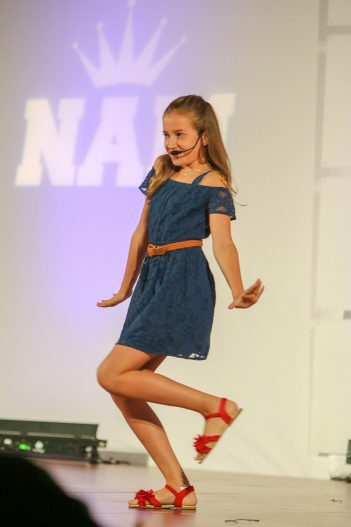 Connor took first place in the Indiana Pre-Teen state competition in Talent, singing “Moonlight” by Grace Vanderwaal, and earned first place in the Spokesperson category with her speech, “Friendship is like an Avocado!” She placed second runner-up in Acting in a commercial. The winner of the Talent and Spokesperson competitions each receive an $800 cash scholarship, crown/banner and trophy. The winner of the Acting category wins a Passport to Discovery Caribbean cruise for two valued at $6,295. The Music Artist of the Year package includes airfare for two to Los Angeles, hotel, dinner in Hollywood and a one-day recording session at a premier Hollywood recording studio. Connor, 12, won the CarmelFest Has Talent 15-and-under competition in July. She previously won the CarmelFest Has Talent 12-and-under divisions in 2016. Connor sings in the middle school show choir, performs in Christian Youth Theater musical productions and competes in gymnastics.